Let's get this started early - posts about Age of Sigmar, Warhammer 40k, Warmahordes, Infinity, Blood Bowl, Guild Ball etc all welcome! Post your painted minis, custom terrain and whatever too. 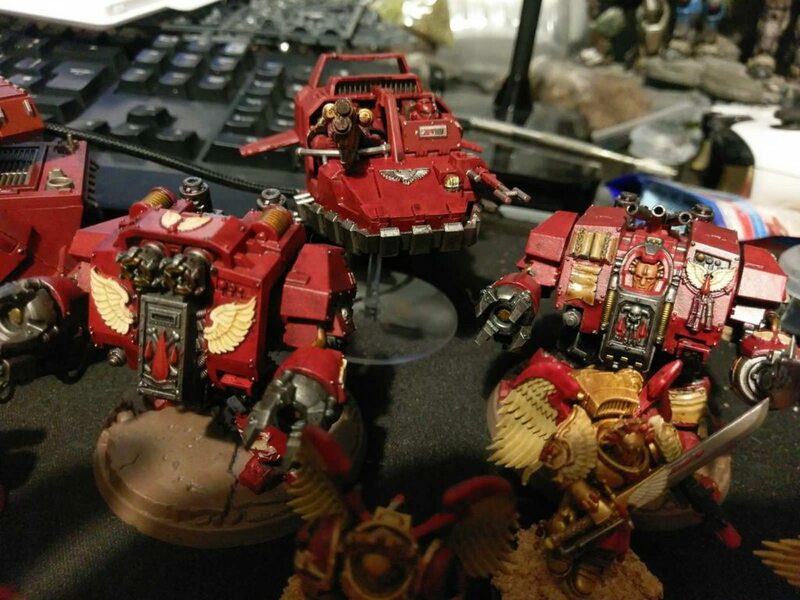 If you're looking for the Warhammer 40,000 thread, you'll find it here. It's much better than this one. Luke's APS - Brilliant painting and terrain tutorials from a guy who doesn't want you wasting money. I have recently developed an unhealthy obsession collecting metal Eldar Aspect Warriors. Just in time for the new book too. Also just got some metal Mandrakes too. They don't exactly fit into a Craftworlds army, but I like the models. I think the best thing you can do is focus on models that interest you & then work out how to mould them into an acceptable army. I guess that's just because I'm so much more into the modelling and painting than I am into the actual battling itself, though. Any pics of your Eldar? I'll post some when I paint some more up. Woo hoo was waiting for this thread to come back. Currently working on epic scale cerastus knight lancers for epic 30k. Will post up the finished product when they're done. After that I have the shadespire box, tons more epic scale knights, and 30k emperors children to work on, so I should be busy forever. I'm very interested by Shadespire. Think I'm going to start it up when Undead come out for it. Oh yes, I was also waiting for this (and even thinking if I should create it if it didn't spawn soon). I was mostly a lurker on the other side (although the X-Wing OT helped stealing some of my posts), but I 'll try to fix that a bit. Miniature wise, right now I'm only playing X-wing and Blood Bowl, but I will go all in with Necromunda once it's released. On the painting side, although I've been playing miniature games for over 20 years (40k was a drug for a long time) I have almost no experience with the brushes and paints due a mix of impatience and hating to do something I feel I don't do as good as it should be. Do you know the usual "painting miniatures is relaxing" thing? For me is quite the contrary :P. Still, if I go with short stretches each time I can get some work done. I have a lot to learn tho. 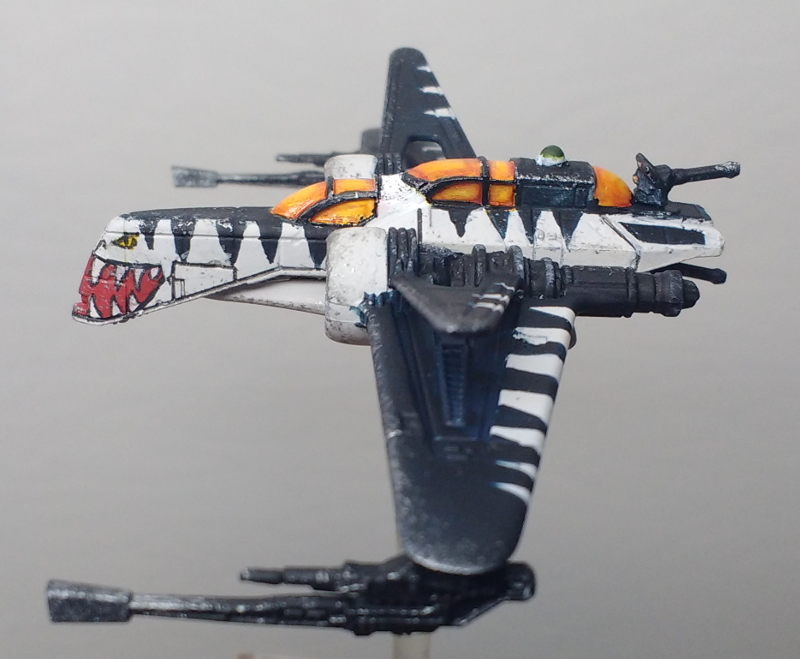 Until now, my full painting experience comes to basically 5-6 X-wing ships and, currently, I'm with a Human Blood Bowl team that is going painly slow, with just three players done of the 14-15 I want to paint. 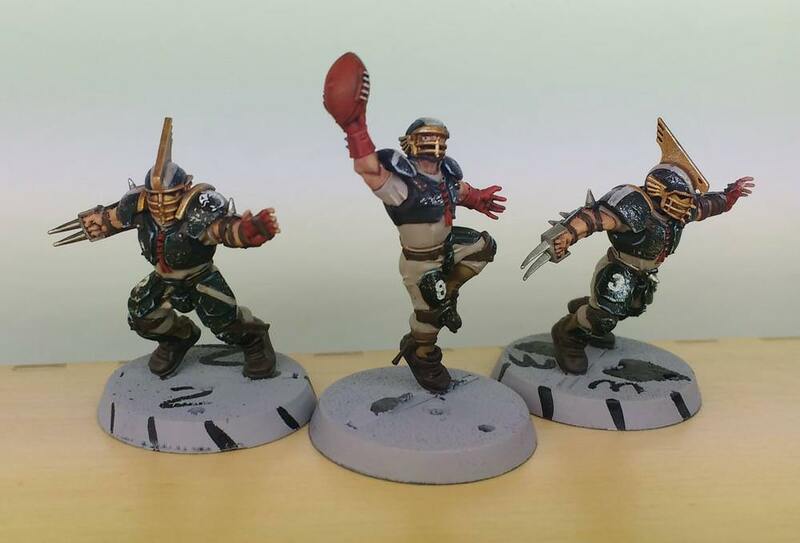 if bloodbowl is an exact replica of the old game then I can recommend it, but really depends on your friends. As for Shadespire I'm not really that interested in AoS but I was tempted by the boardgame format, low model count, low price, and the actual snap fit models because they look really nice. I got the box in the mail last night and can say that GW are just masters of plastic models. I Haven't seen anything from another company that even compares to this in terms of detail and quality of the miniatures on the sprue. Mold lines are tough to find on these things, really, it's very impressive and I'm looking forward to painting my golden fantasy men. I’m marking this topic too. Good to see you all. Shadespire is a lot of fun. It's really fast-paced and very board-gamey. The miniatures are great but I really wish GW would stop making Stormcast vs Khorne the focus of every starter. I mean, I do like expanding my Stormcast army but come on and throw us other factions a bone. Really, really looking forward to the Ironjawz expansion. And Undead. And Skaven. I also just picked up another Arachnarok and some Spider Riders. I'll have pictures once I eventually finish them. Been working on getting my Imperial Assault collection painted up over the last few months, excited for the Legion release coming up too. Good to see you guys and will hopefully have more to contribute soon! Have I mentioned Zombicide lately?!? So my plan to finish off 60 minis by the end of Oct. is out the window. Every weekend has been planned out for me so my free time has taken a massive hit. But I am home alone all day today and plan on firing up some horror movies and painting as many purple zombies as I can. I’ll certainly finish all the remaining runners. The real test is going to be how deep I can get into all the walkers, which is the vast bulk of what I have left. For some reason walkers are also my favorite to paint as well. I think there is around a dozen runners and 40ish walkers left. Do you even like Zombicide at this point??? I am actually drawn even more to the game since I’m getting closer to completing the project. Even after all the zombies are complete, I still have 30+ survivors and their zombivor counterparts to paint. I have 7 complete and ready to play the game with, but I’ll actually pick at the others over time as well. They are a ton of fun to paint. I’ll probably do a couple 3D terrain pieces as well at some point. Oh, and I plan on sprucing up the blood on the game tiles with my own painted blood. Ha, I hear you buddy. I got about 80% through painting my set, but had to take a break because it was starting to burn me out. Good luck on finishing them up and be sure to show us some pics. I apparently didn't have enough hobbies to underdevelop, so i'm now getting into mini painting. it happened because I got in on the kingdom death 1.5 kickstarter last year. the minis all need painted. I grabbed the bones learn to paint kit at reddit's recommendation for extra practice (plus a few other minis) so I'll be posting pics here soon and asking for somebody to help me deduce why my skeletons are so ugly. Yeah I've had my KDM stuff for about a year now and don't feel confident enough to start painting them up yet. The models are so detailed I don't think I can do them justice yet. EDIT Also wow at that black-white ARC-170! Looks really, really great! 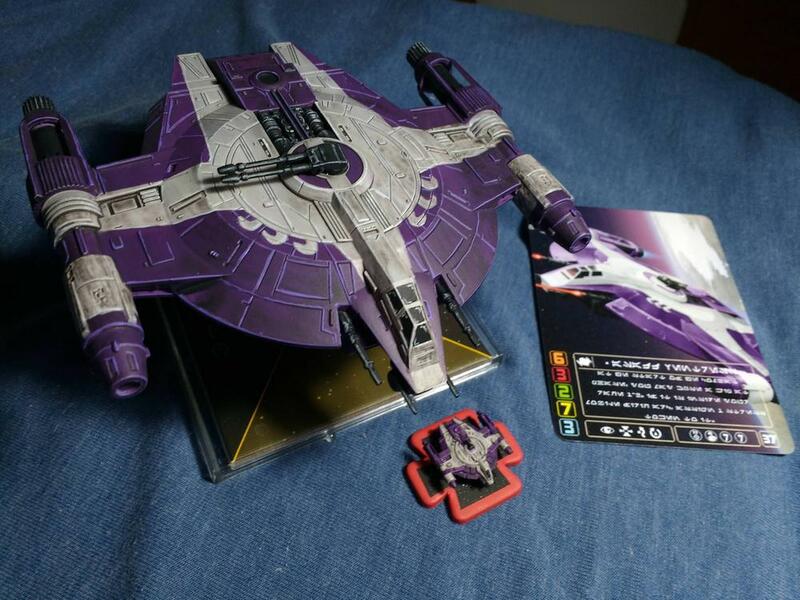 EDIT Also, is someone making dedicated Star Wars X-wing miniatures game thread? We should, oh yeah. I may try to create one, give me a couple days to think and mess with some images. On the ARCs, you didn't see them on GAF XW thread? Maybe you weren't browsing it yet when they were posted (just some weeks after their release). The second picture makes it a bit meh in many parts, but I'm quite happy with how it looks at hand. Especially being the ¿third? thing I ever painted. for free handing the patterns those look pretty cool Kharnete. I like your effect on the cockpit too. Good to know that will come back. 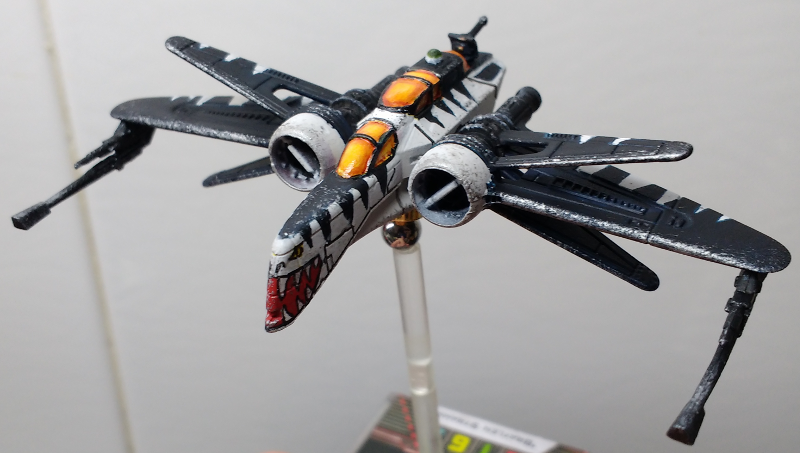 I got into X-wing during Spring. Think ARC-170 is a bit older? 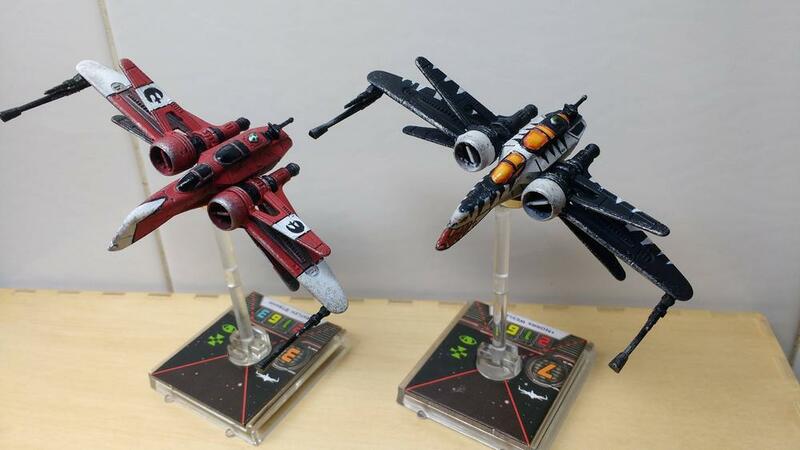 By the way, do you just paint over X-wing minis or strip the old paint and/or re-prime them first? Mostly wondering about the... technical side, i don't think i will bother to paint mine. I have so many, many BattleTech minis to assemble and paint. Somehow summer just went and i didn't find time to paint them... Can't really paint anymore during winter (as i need to do priming on the balcony but i ain't doing that while it is windy, snowy, rainy, or freezing, or all at once). No space (also not even gonna think about potential cost). Also not nowhere near experienced enough to consider anything advanced. Still learning basics really. I can see that. Cost and space are definitely issues. As for experience I don't think you really need much to get a lot out of it. I mostly use mine for priming and base colors and it's just a huge time saver. For what it’s worth, my airbrush setup is on a tiny little table, and priming with it was the very first thing I did. Cost is definitely the biggest concern though. My initial buy in was about $220. I have some Tyranids, but I never play 40k. I also have a bunch of Stormcast dudes I'll eventually paint cause I love the way they look, although I haven't played Age of Sigmar, yet. Sooo, there's that. I also have way too much Kingdom Death stuff I'll never paint 'cause there's so much I need to paint already. 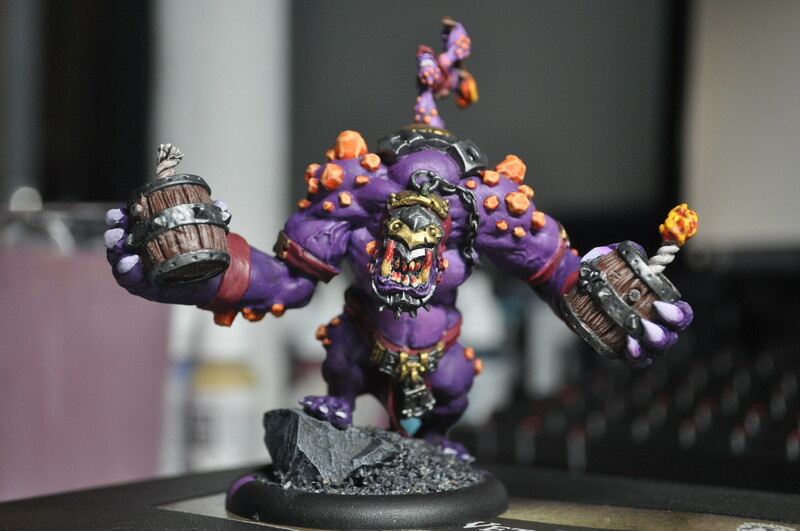 Anyway I mostly play Warmachine/Hordes, so that's what I mostly paint, too. 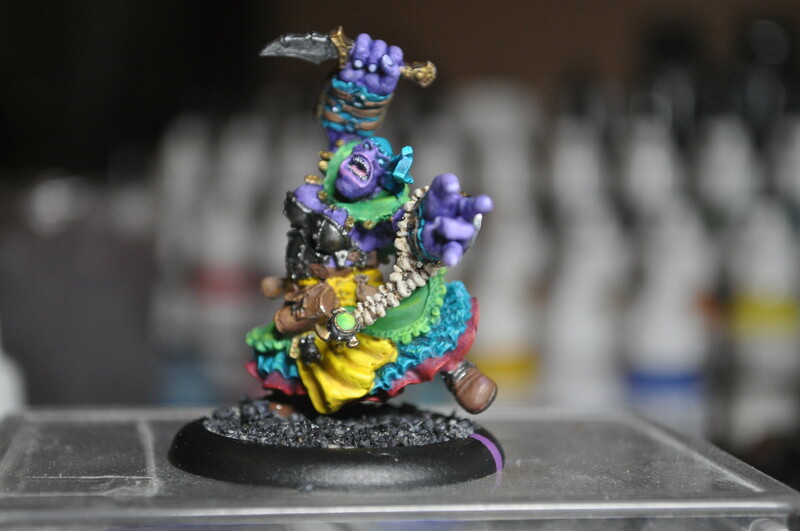 Trollbloods are my jam. I only started painting... less than a year ago, I guess? Maybe about a year. So there's a lot I'm learning with each new model. Anyway here's my three favs, I think, and my Flickr album where I upload my bad photos. 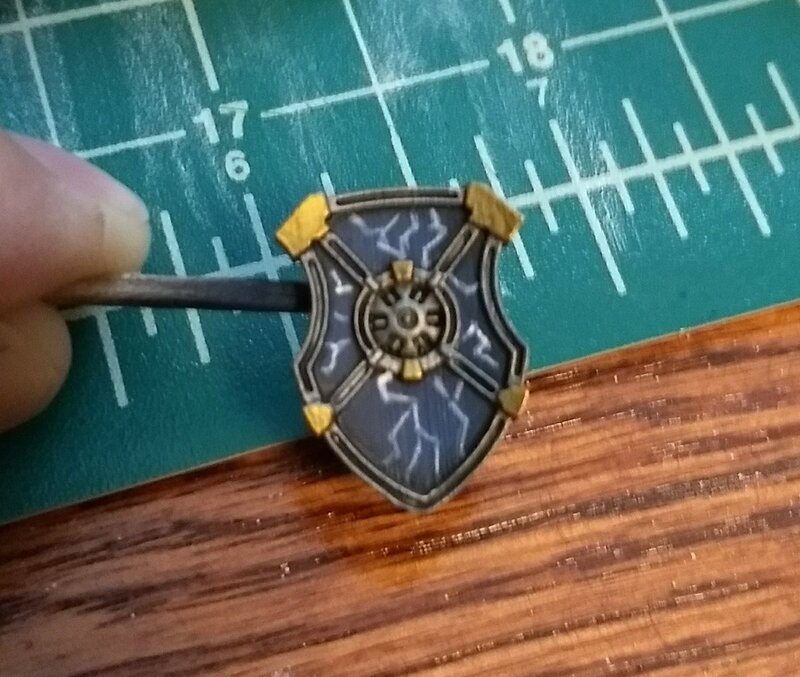 Joining in on airbrush talk. I got mine earlier this year, and it's been invaluable just for priming alone. I have worked up the courage to start using it for base coating once I get to my larger minis. Let's just say even tiny space is not really available. I do have stuff i should get rid of but... man, it is hard to get started on that. Ah, well, i figure i might be moving soonish anyway, and afterwards i'll need to setup proper working space anyway. 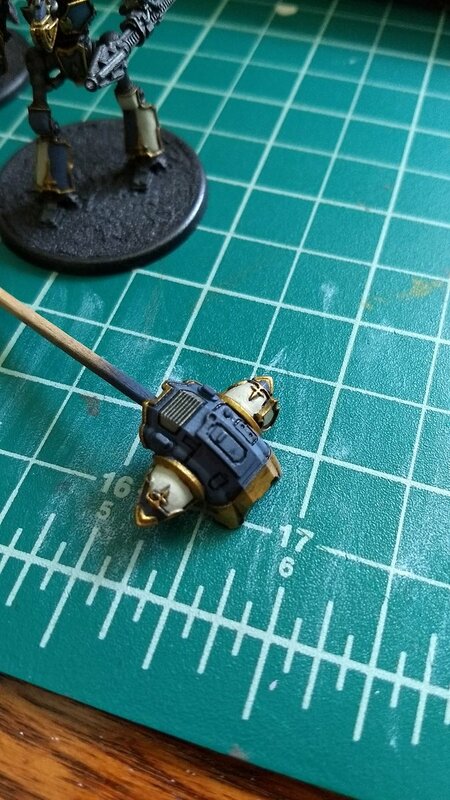 EDIT This talk about priming with airbrush, i assume it is more accurate and better than spray on primer? Yes, it will be more accurate, and cheaper in the long run (if you're using miniature-specific primer). I've also got into the habit of zenithal priming, which helps to pre-highlight the model and mean I don't need to spend as long on that step. Oh man I recently watched a vid on zenithal priming and it looks nice. I'm definitely doing that on my next model. Whatever that ends up being. I'll post a pic of my set up later to show you the space needs, but yes it's way better than rattle cans. I'm at work, so can't post a picture of my set up (which I don't leave out), but it's very portable. I use this booth (https://www.amazon.com/gp/product/B00NLQ019A/?tag=era0f0-20) and this compressor (https://www.amazon.com/gp/product/B001738DXU/?tag=era0f0-20). The booth folds up and I can easily stick it in the closet when I'm not using it. Same with the compressor (although I keep that out in the garage normally). I set it up on my dining room table and just crack a window and run the tube out while I'm working. Set up and tear down is probably less than 5 minutes (for the booth and stuff). The brush itself takes a little longer to clean, but it's not too bad. Haha I was just thinking there must be some sort of active circulation solution, and dunno why I'd never thought about it before. that looks pretty decent. I wonder how I could manage it in my apartment. 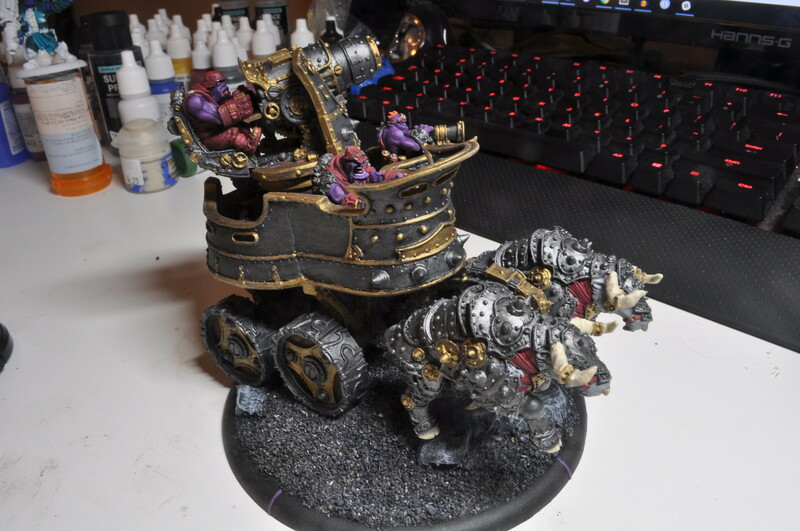 I usually paint at my computer desk, but with an airbrush, I'm scared even with something like this, some stuff would get out and possibly get on my monitors. Hmm, hmm. here's my setup. it's a bit of a mess right now, but the booth fan pull all overspray into the filter, and it's not necessary to vent outside unless i'm spraying enamel which I never do. The compressor usually just sits on the ground, and then obviously when I spray I take everything out of the spray booth except what I'm working on. I usually wear a latex glove while I spray on the hand that's holding stuff so I don't have to worry about spraying my hand. I was pretty worried about tiny paint particles getting everywhere because I have an embarrassingly large scale figure collection in the same room but so far it has all stayed in the booth. Display, keyboard and mouse in work section. Seems safe. i push the mouse and keyboard out of the way, haha. the display doesn't have any paint specks on it as far as I can tell. keyboard.... definitely has some paint on it. my main issue is that I have space for one desk, so I had to pretty much get the most mileage out of it possible. I already won the lottery convincing my wife that I needed the spare room for my "office" so it's better to not push it beyond that. Nice to see a mini wargaming thread up. 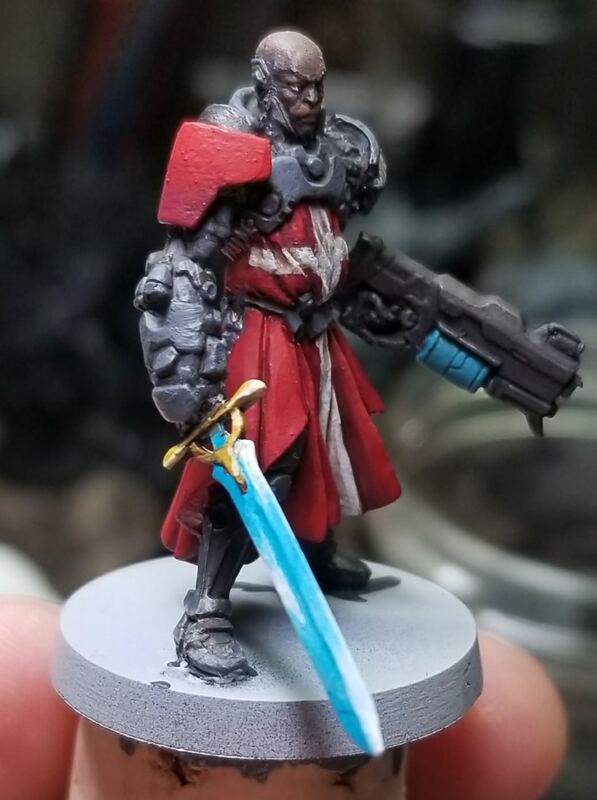 I've been working on Infinity miniatures. I've got 300 points of both Nomads and PanOceania ready to paint. I'll share a WIP of one of my heavy hitters for my PanO when I get home, the other pictures I have aren't up to date. Pretty much exactly the same boat here. KDM 1.5 came in the mail, I was recommended the reaper kits, bought those and some other things on Amazon. Everything arrived yesterday, gonna start tonight or Sunday. I'd be terrified if my airbrush was that close to my monitors!! 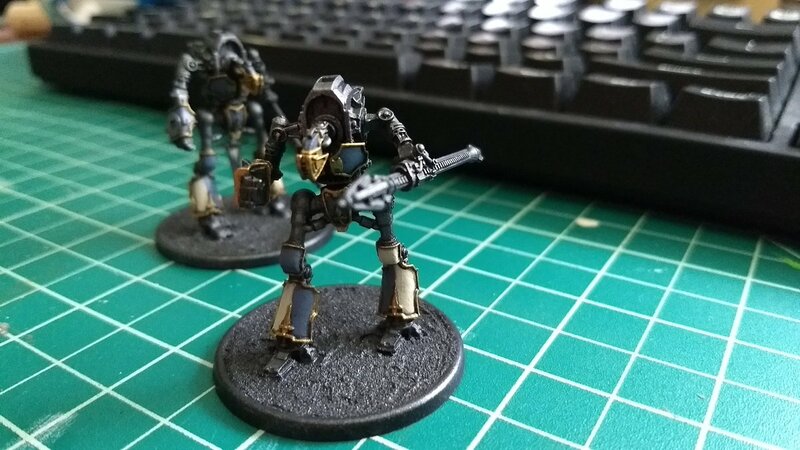 i bought the reaper kit last month, telling myself i'd practice ahead of time, but i've only done a tiny bit of painting. i'm not even sure what to do about paints. do i made the best of what was in that starter kit, or branch out into a larger paint collection. gotta plan color schemes for my beasts to figure out what i'm missing that I'd like. I mix a lot of colors. It's harder, though, mostly because if you go back to it later, or want to use the same color scheme, you might not be able to get the same exact mix. I have a text file on my computer with a bunch of ratios (e.g., cape: 1 drop red, 2 drops brown). Really just depends on how you wanna handle things. I also buy more and more colors as time goes on so I have to mix less. Mostly 'cause I'm getting lazy about said mixing. I bought both of the reaper kits, so that's about 22 paints to start with. I think that seems good? I too have been wondering if I should be buying more paints, they just seem so expensive to buy a set with a decent amount. Seems like the kind of thing you slowly build up, I suppose. I'm definitely not gonna be painting my KDM anytime soon (outside of some gray primer and a drywash or something). I've got the minis the kits come with, and then I've got a few board games with minis that I'll probably use before KDM (notably Betrayal at House on the Hill, Scythe and Cthulhu Wars). i'm also gonna need to prime the kdm figures huh? the reaper booklet said i could get away with not priming them so I didn't worry about primer yet. i'll have to research that. Glad to see a thread like this! I've really been enjoying AoS skirmish lately. It helps that the low model count makes up for my painfully slow painting! WIP Gabriel De Fersen for my PanOceania army. Hi all, glad to see the miniature folks made the pilgrimage over! Always enjoy lurking these threads, if I barely finish enough to post in them. 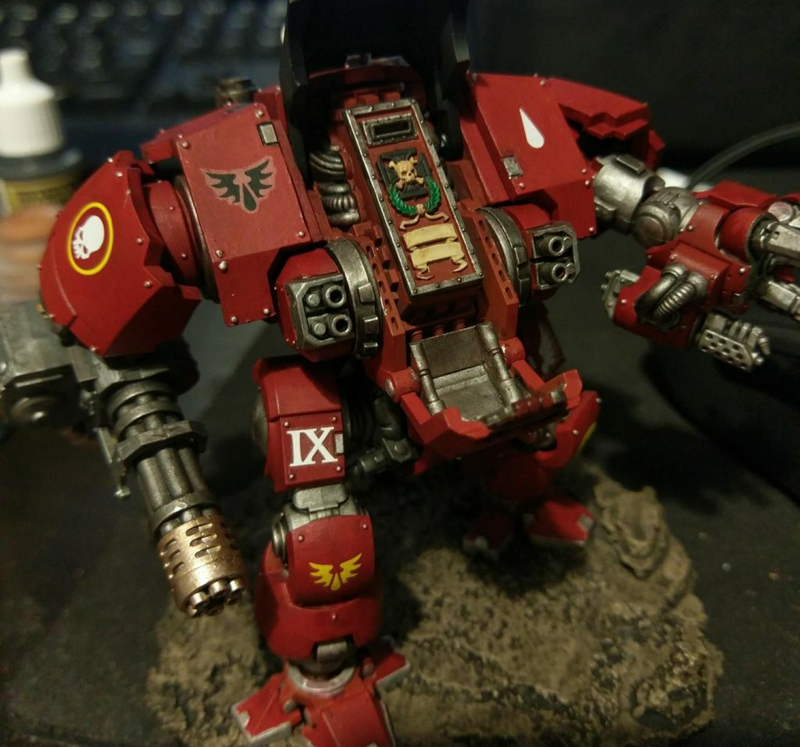 Hi all, looking forward to posting some WIPs and finished models here. Anyone else play GW Specialist Games? I've been on a real SG kick lately with Battlefleet Gothic, Man O'War, Epic and Warmaster. Will post some photos when I get home from work. There's never enough time. I'd love to get into 15mm or 6mm company level games and Flames of War was meant to fill that niche for me. If Battlefleet Gothic gets reissued then I'd like to play that but the rumors say it's going to be Heresy era so I'm on the fence. As for something like Man O' War I'm more attracted to Napoleonics era historical stuff purely from a miniatures perspective when it comes to naval wargames. Haven't made the dive yet though. Yeah, I have probably enough unpainted stuff to last me several lifetimes at this point. I’m trying to dedicate each year to getting an army painted for a specific game. This year was Epic30k, next year will be Warmaster. If you’re more interested in Napoleonic Naval games, I can recommend Warhammer Historical’s Trafalgar. It’s a very beer and pretzels game and satisfies that Napoleonic naval itch for me. I play British and have 6 ships painted and rigged from Langton. Eventually I’m hoping to have the entire British OOB for the Battle of Trafalgar. Do the Lord of The Rings miniatures count? I remember going to Games Workshop as a kid and always buying them. I played a little, but I just liked painting and collecting them.